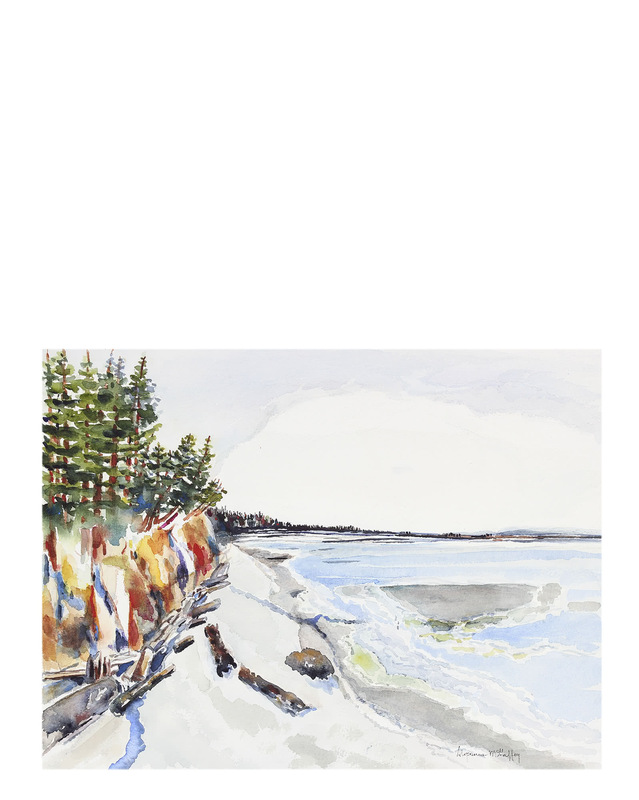 "Beach Lines at Tulalip, WA" by Alysanne McGaffey&quot;Beach Lines at Tulalip, WA&quot; by Alysanne McGaffey, alt="&quot;Beach Lines at Tulalip, WA&quot; by Alysanne McGaffey, "
This late 20th century watercolor on paper is by Bay Area artist Alysanne McGaffey (1931-2018). Born in Seattle, McGaffey moved to San Francisco in the mid 1950s to study at SFAI with Bay Area Figurative pioneers Joan Brown, Nathan Oliveira, Jay DeFeo, Walter Kuhlman, and Manuel Neri. McGaffey also took classes at CCAC and UC Berkeley, and received an MFA in Painting from the University of San Francisco. She became involved in community arts organizations, holding offices in several, including the Coastal Arts League and Pacifica's Cultural Arts Commission. 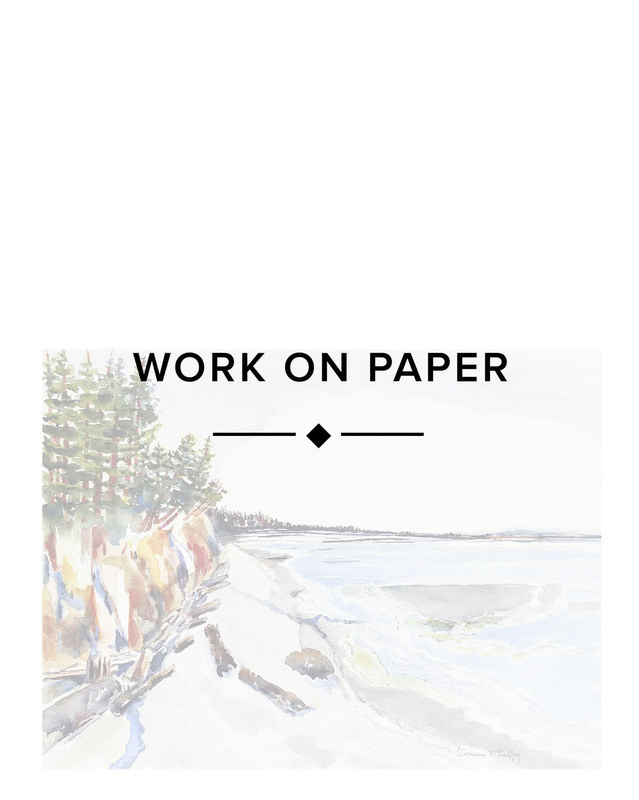 Eventually McGaffey's gaze moved from the figure to the landscape, and she spent the last thirty years traveling the Northern California coast painting watercolor seascapes. Unframed. This piece will be shipped in a mat to fit a standard sized frame. Signed at the bottom. Overall Dimensions: 16" x 12.25"